My very first non-clothing refashion! I have a friend who lives very close to the local IKEA store. She and her family like to stalk the as-is section. They recently acquired a lot of textiles from the as-is section, and passed some on to me. I got a handful of small, square pillow cases. After seeing the color of one of them, I had a plan! I removed the stitching around the edges, tacked up the bottom corners of the pillow case to give the tote bag a bottom, sewed on some straps made of some nylon webbing I had laying around. 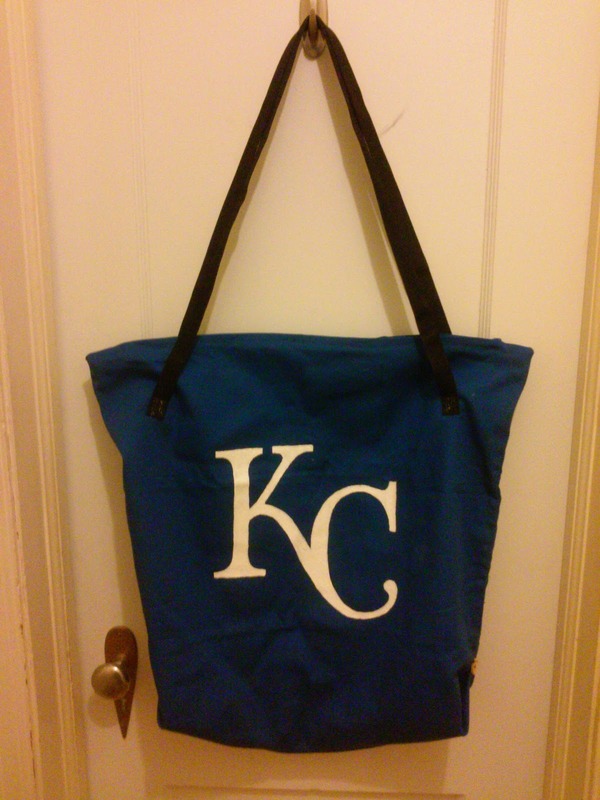 And last night, as I watched the American League win the All-Star Game, I used white craft paint to paint the team logo onto my new bag. 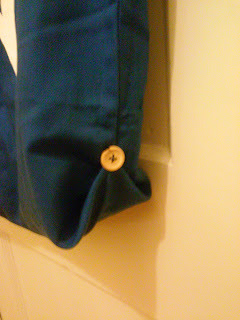 Tacked up corner to make a flat bottom for the bag. We are trying to convert to no plastic bags. Thanks so much for this idea. I forgot it was my day as EOD but wanted to comment on this idea and now see it is my day. So double thanks for posting.